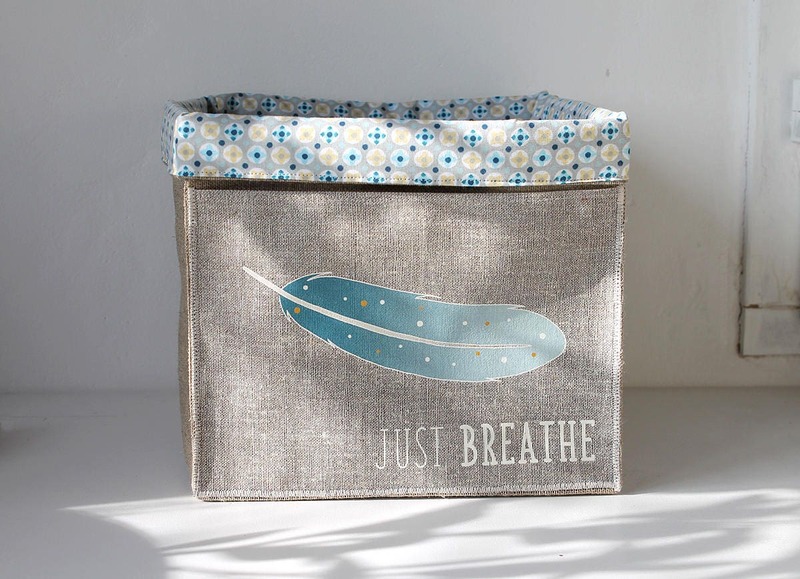 Small basket square very soft / natural linen dish lined with cotton and illustrated "Just Breathe"
Soft basket raw natural linen lined with Super patterns cotton blue and yellow. 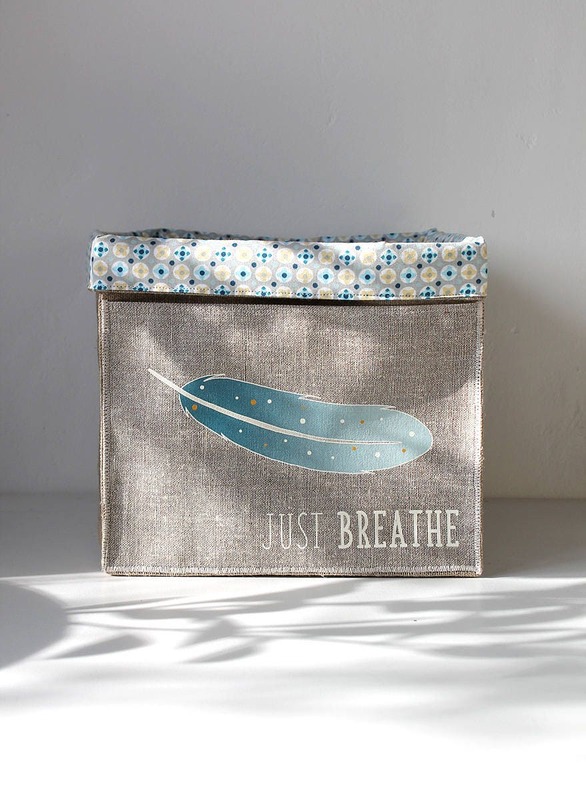 Exterior pocket on one side with printed top an original illustration depicting a blue feather stylized with inscription "Just Breathe". 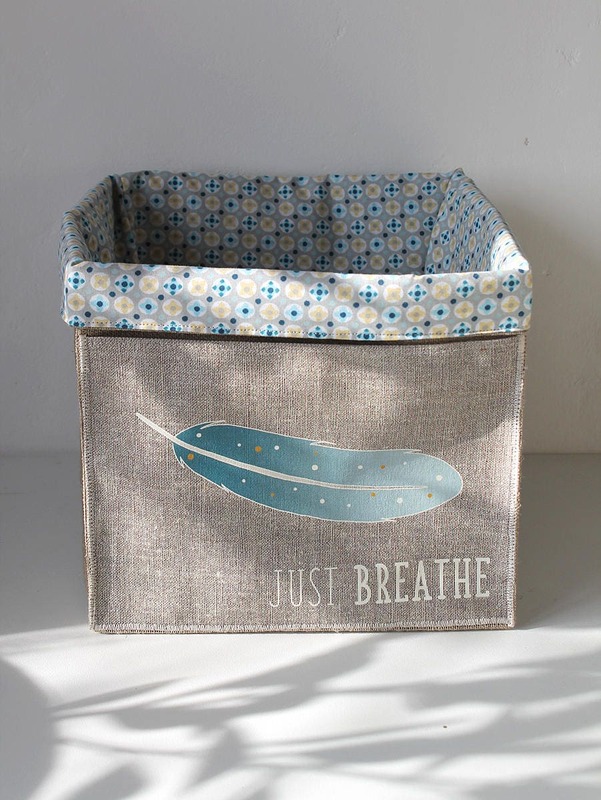 This tidy is very flexible, not rigid bottom. 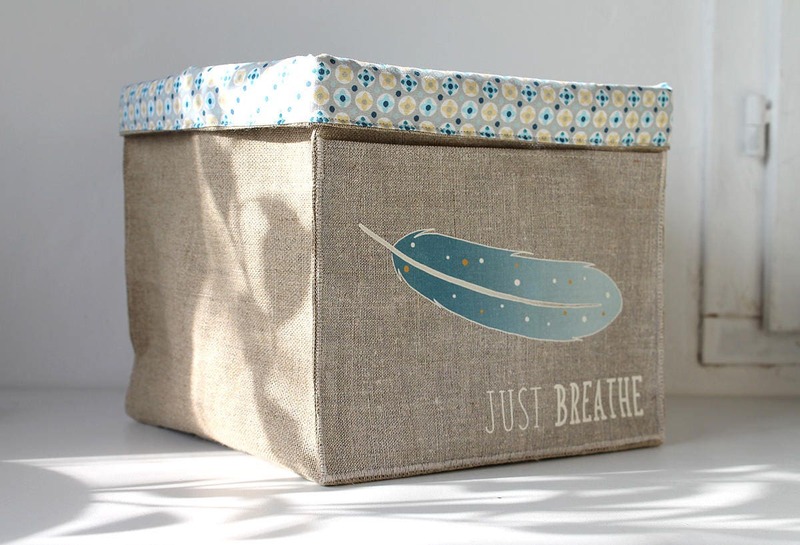 It can be used for storing cosmetics, baby clothes, baby or other small treasure business papers.